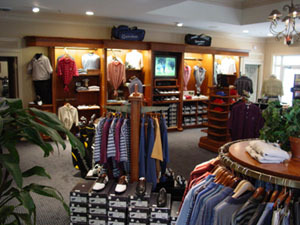 Westfields Golf Club features the latest in equipment, golf and casual fashions, and collectable items. Our golf shop is the perfect place to find that special item. Our goal is to provide the quality, style, value and service that is traditionally found only at private country clubs. Whether your needs are large or small, Westfields Golf Club is ready to service your merchandising needs. For further information, please contact our Golf Shop at (703) 631-3300.